"Super, Very Pleasant And Cleaned Up Afterwards." "Daren Quickly Sussed Out The Cause Of Problem With Under Shelf Lights In My Bathroom." "Quick To Respond And Really Helpful And Friendly. Quickly Found The Fault And Fixed It." 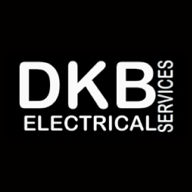 "Get Back To Me In Time"
Need a Electrician in Chatham?